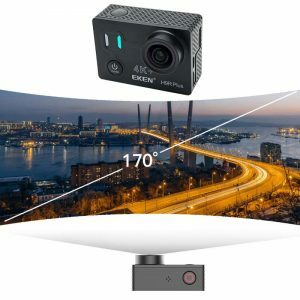 The Eken H9R Plus 4K Action Camera allows you to take professional quality video from anywhere you wish. 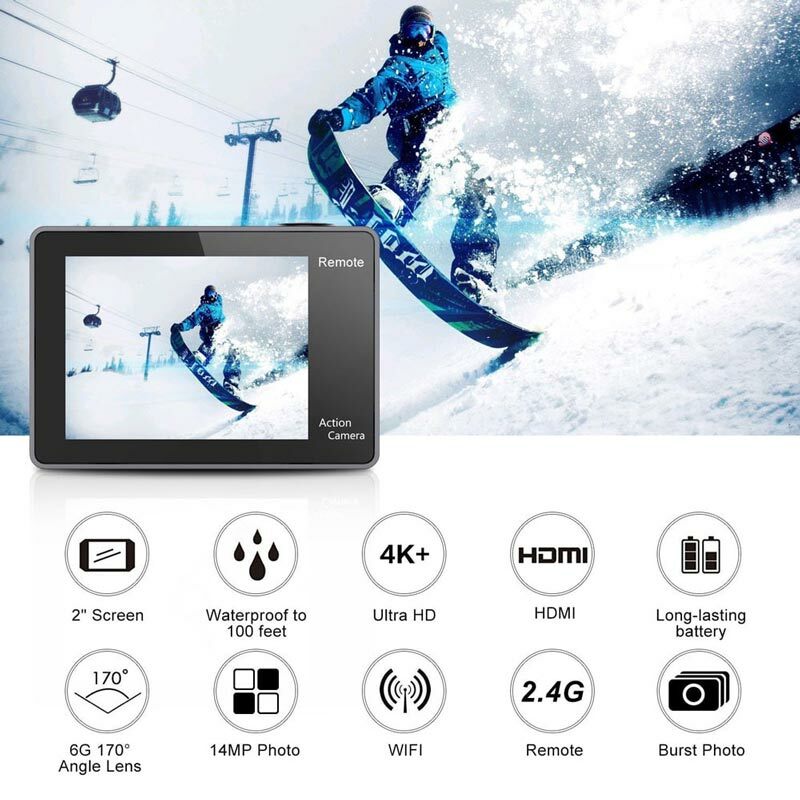 Featuring 4K30 / 2.7K30 / 1080p60 / 1080p30 / 720p120 video resolution and 14MP photo resolution. Put your eken h9r plus 4k action camera into the waterproof case which is designed to withstand extreme environments and conditions, you can capture all your adventure underwater. Features a high quality 2″ LCD display for video or photo playback. 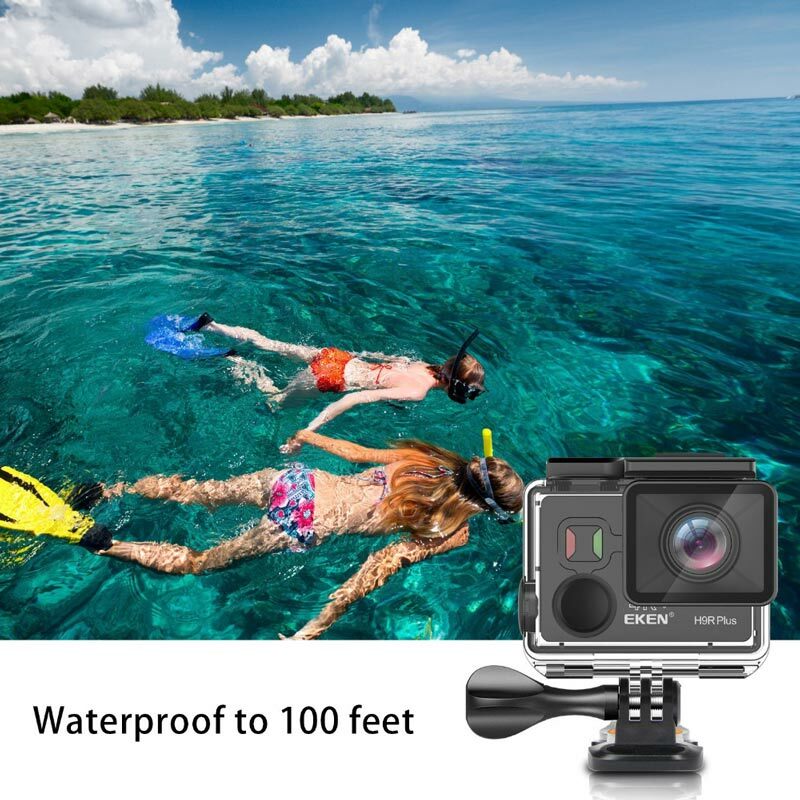 Get the full spectrum of the features with easy setting adjustments, you can do it all on your eken h9r plus 4k action camera. The eken h9r plus 4k action camera comes with a rechargeable 1050mAh battery, remote control and 14 action camera accessories; the mounts are compatible with most action cameras, including Gopro. 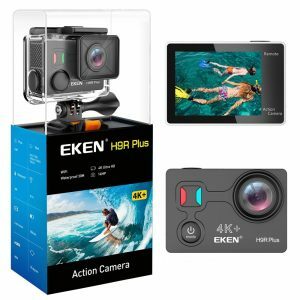 Looking for a more budget friendly Eken camera? To get the Eken H9 Click Here. 1. 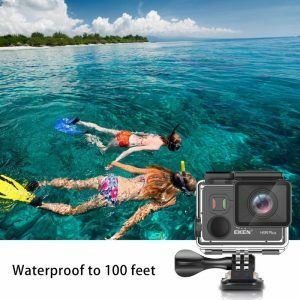 Eken h9r plus 4k action camera is a 4K underwater camera. It is normal for the camera body to exert heat under use.